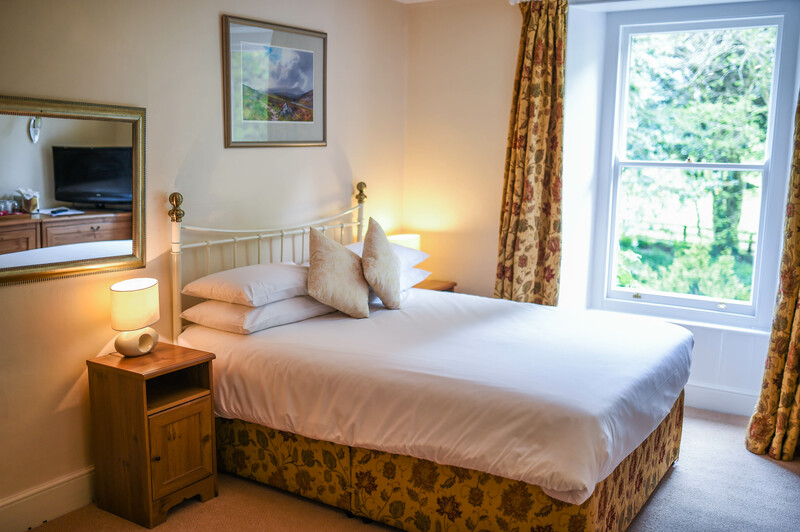 Sheep Tor is a family room with a king size bed and an ajoining room containing 2 single beds. 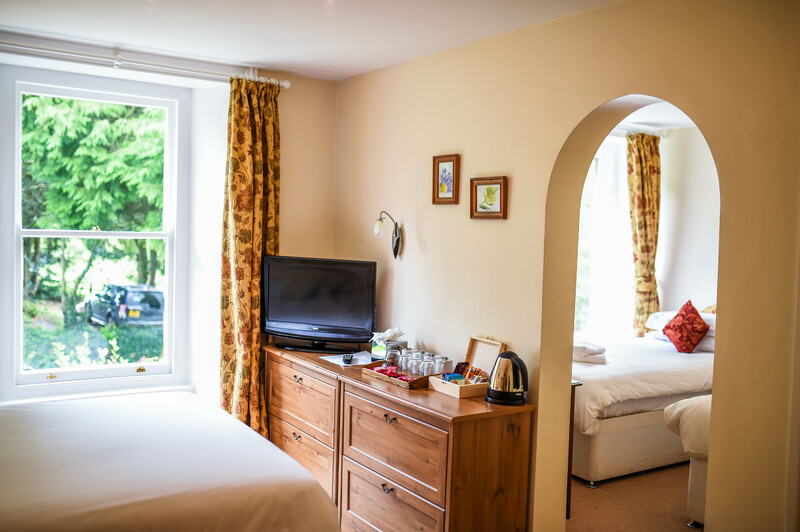 The room has 2 Sash windows and over looks the gardens at the side of the house. The bathroom has a batch and shower. 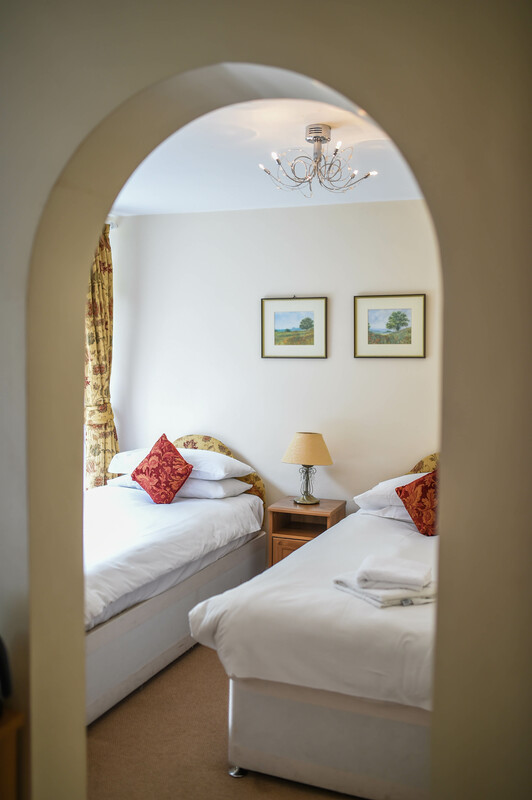 There is plenty of room for a cot and this is a dog friendly room. this room can also accomodate 3 adults.